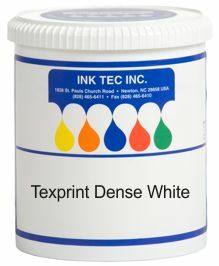 Texprint Rotary Ink — Ink Tec Inc.
Texprint ink was ideally formulated for use on garment labels, decorative ribbons , self-adhesives, and all types of fabric used in the label industry. It was developed by our industry leading technicians, in association with Focus Label Machinery Ltd. to be used primarily with Focus Fabric presses, and all other known makes of rotary fabric printing presses. Our ink is available in a broad range of standard Pantone colors, and is suitable for use on a wide range of fabric, and textiles. Color matching service available upon request. *Ink is available in 5 Kg or 1 Kg containers. Fully heat cured after only ONE HOUR, in a standard curing oven at 125 degrees C.
Increased depth of color, and improved coverage on solid areas, even on difficult to print textiles. Reduced Ink waste. Unused ink can be restored in its original container. Thinners and Reducers are not required for frequent use. Full range of Pantone base colors tested for toxicity to OEKO-TEX standards 102 and 105, certificate # 02-4661. 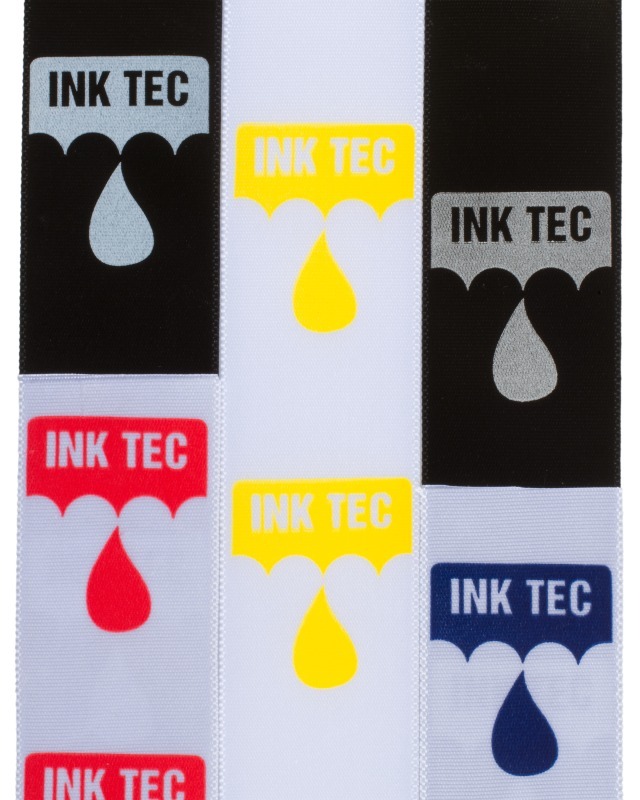 Our ink conforms to BS5665, with no toxins or heavy metals found. Approved by leading retailers for applications on their products.